You might have accounts for your retail business on Facebook, Instagram, LinkedIn, Twitter and Pinterest – all the biggest players. But do you have enough hours in the day to maintain them while also engaging with your followers? We reveal some quick and easy hacks that you can implement whenever you have a few minutes to spare. The result? A great social media presence, meaning more customers through your doors. There are millions of social media users online right now. So with so many potential customers, that makes your life much easier, right? Not unless you leverage your best tools and discard the rest. By devoting your time to too many social platforms, you’re actually limiting yourself. If you have half an hour free each night, for example, you’ll only have enough time to make updates on a couple of platforms, and may not be able to interact with any of your followers. Experts recommend focusing your time on Facebook, Twitter, Instagram and LinkedIn – but if that’s stretching your capacity, pick the two platforms that work best in terms of customer engagement and stick with those. If you’re already comfortable with social media management, you probably have a set time each day to manage your account. That’s great! But don’t get caught in the snowball effect of having to check your phone every hour – or more! – to see if people are commenting. Technology tools like Hootsuite can actually let you manage all your social media accounts from a single location. It’ll save you time and mean you can check everything in a matter of minutes – rather than multiple times spread out across the day. Other online tools like rostering software can help with the time-intensive daily tasks so you can use that free time for social media marketing efforts. It’s a good idea to narrow down your target market and understand exactly who they are. That way, you’ll have a better idea of their engagement levels on social media, and you’ll know what they want to see in their feeds. 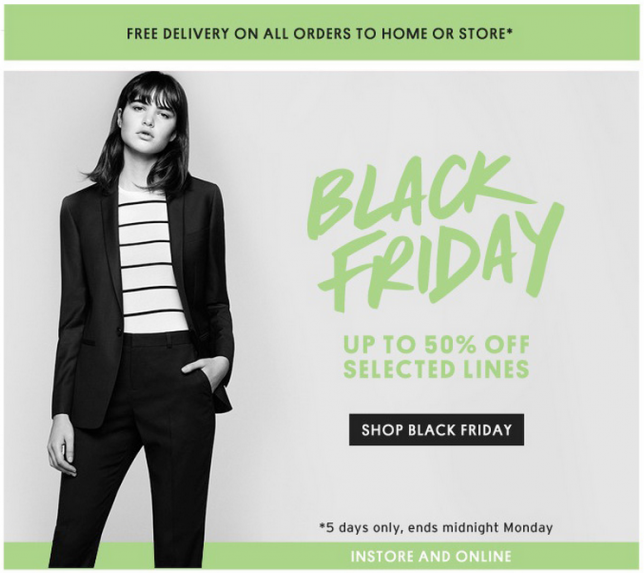 Does my target market prefer in-store or online shopping? What’s their social media routine – more views/comments/shares during the evening, for example? How receptive are they to giveaways and share contests on social platforms? Do you get more success from posts in the morning, middle of the day or night? For business owners who want to post regularly on social media that might mean spending an allotted amount of time every day creating posts. And that time really adds up. To save time, consider batching and scheduling your posts. That means taking one day every week to pool all your content, all your updates and all your giveaways into a spreadsheet. From there you can either copy and paste the posts directly into your chosen platform on the preferred date. You can also check out cloud-based sheets like smartsheet which is a great way to manage your social media calendar. While ‘viral content’ might not be the first thing you think of when you think ‘retail’, it’s actually a good way of reaching new audiences and showing your lighter side. Finding viral content doesn’t take long. Just check out BuzzSumo, type in a keyword that’s relevant to your business and see what returns. 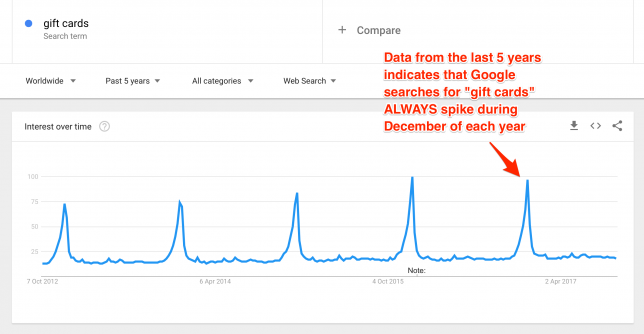 You’ll get data on the most shared posts with that keyword over the past year, which you can then include in your content calendar. Getting your marketing sorted fast isn’t always easy, but with these tips you’ll save time – and money – to focus on the most important parts of your business. The post Retail Series: Easy Peasy Marketing Hacks (Pt. 3) appeared first on Deputy. As we close the door on another calendar year, it’s time to start thinking about effective marketing ideas for small business owners in 2017. One of the smartest things a small business owner can do for his or her business is to take the time to develop a small business marketing plan that will set them apart from the competition. Your story can be an effective marketing tool. Get the word out on flyers, your website, social media, and emails about how and why you started your business. Build an emotional connection with your customers, so they know why they should support your small business. Although people are looking for a bargain, telling a story that resonates (coupled with a good deal) separates your business from the retail giants. Inject some facts about the impact of small business into your story. Tell your customers that small businesses account for 54% of all sales in the U.S. Also remind people that small businesses like yours have a positive effect on their local economy, since they provide 55% of all jobs. 2. Create a gift guide for the holidays. The National Retail Federation (NRF) found that more than half of online holiday shoppers bought something that was recommended by a retailer. 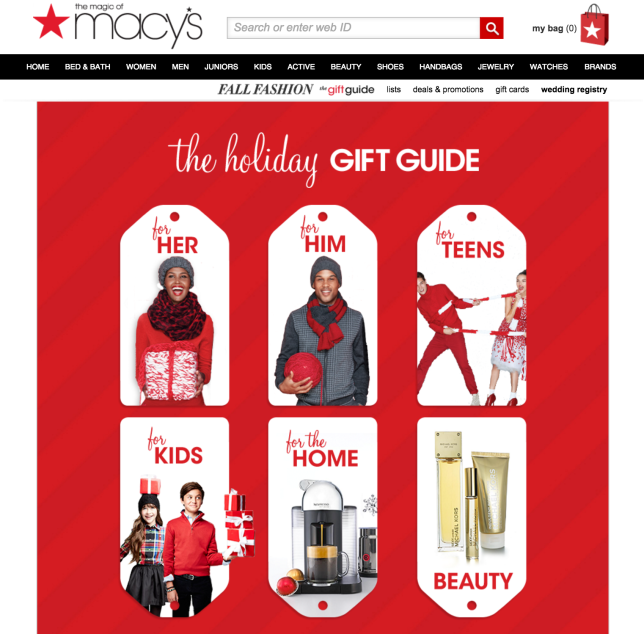 Create a gift guide to give your customer options and help cut through the noise. Designing a gift guide doesn’t have to be time-consuming or difficult. 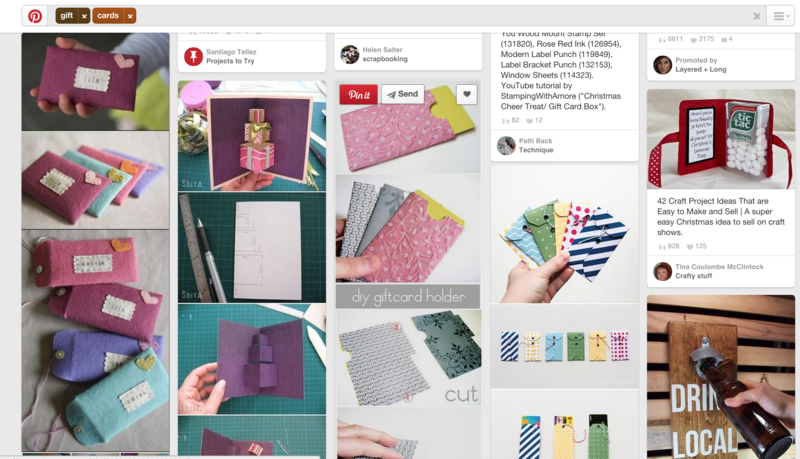 Your gift guide can be as simple as a blog post with a list of gifts, descriptions, and links. You can also hire a designer to create a gift guide for your website and for print. Take inspiration from ‘Oprah’s Favorite Things’ where Oprah displays items from different businesses. Use this principle to add your products to the gift guides of influencers and popular bloggers. For a small commission, some bloggers are happy to help small businesses promote their gifts to their audiences. Tap into the curiosity of the unknown by offering a mystery saving in your marketing campaign. If you have an email list, send an email to your subscribers offering different discounts or gifts. Your call-to-action should take your subscribers to a landing page with one of your offers. You can get a bit more technical with your mystery offers by using a tool like Zembula, where your subscribers digitally ‘scratch’ their screen to reveal a mystery prize. Take your mystery offer offline if you don’t have a website or email list. Let customers choose their mystery offer in-store by spinning a wheel or drawing from a hat. 4. Give a freebie with purchases. 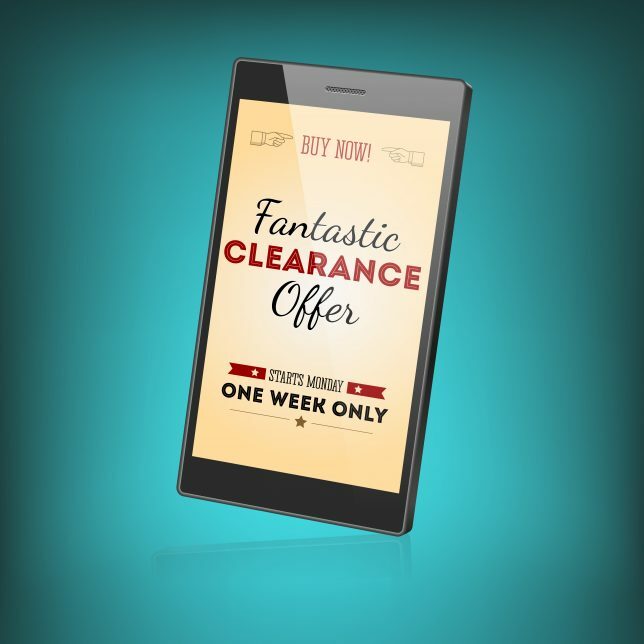 Offer your customers a free gift after they’ve spent a specified amount. 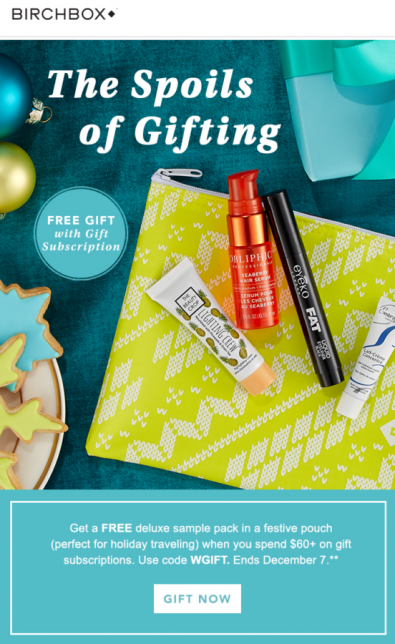 Encourage foot traffic from your email subscribers by asking them to print or show the offer on their cell phones in-store to redeem their free gift. Take this opportunity to promote your business by offering useful branded items, like calendars or pens. Alternatively, offer a reward or loyalty system for customers who create an account with your store. This will encourage customers to rack up the points if they are rewarded with a prize or a coupon once they reach a certain amount of points. 5. Drum-up a time-sensitive buzz. Urgency causes people to act quickly. 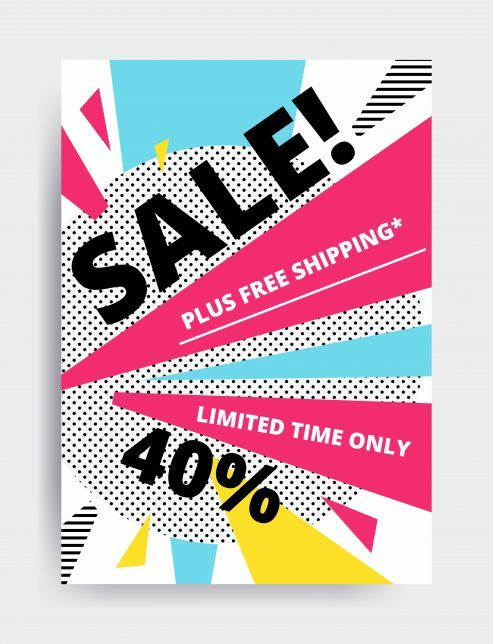 When you create an urgency campaign, start out by announcing the promotion through email, social media platforms, and even through physical banners around your store. Follow up the announcement with a last call promotion. 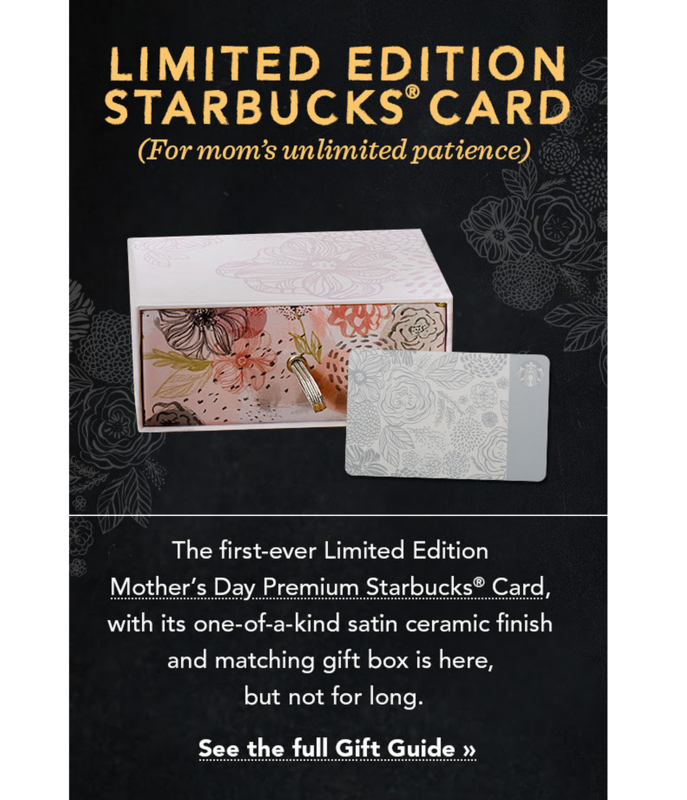 This tells your customers that the offer is about to expire and they need to act fast if they want to get the best deal. If you remind customers that time is passing, it raises the urgency level and compels action. This is a method of moving customers out of an idle stage and into a state of action. 6. Have a positive online reputation. A 2017 BrightLocal study revealed that 85 percent of consumers trust online reviews just as much as personal recommendations, and 73 percent of consumers say that positive reviews make them trust a business more. More people are looking for reviews than ever before and nearly every consumer has searched for a local business online at least once this year. In fact, according to data from that same study, 7 out of 10 consumers will leave a review if asked to do so. Many businesses struggle to differentiate themselves from their competitors, so having a positive online reputation is vital to help customers make a choice. Set up profiles on multiple review sites to make it easy for your customers to leave reviews and always be sure to stay actively engaged by thanking the positive reviews and answering any questions asked. 7. Give deals on gift cards. 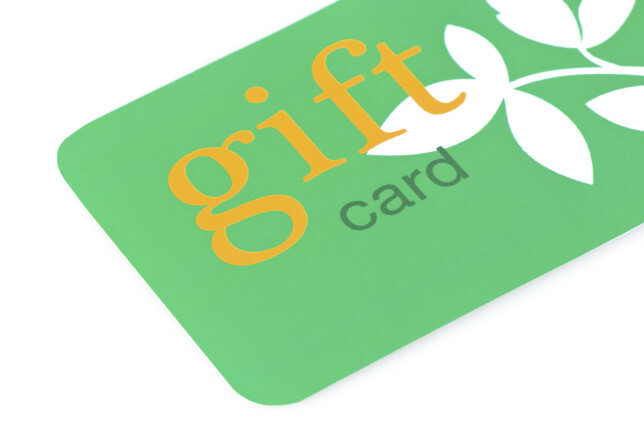 An NRF survey found that six out of 10 respondents would be happy to receive gift cards. 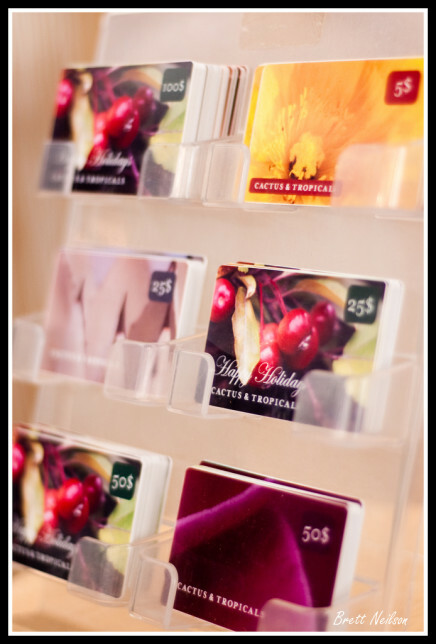 Cater to the popularity of cards as a gift of choice by creating a marketing campaign around gift cards. Offer both plastic and e-gift cards to give shoppers more options. Your gift card marketing campaign can include a percentage off or a free gift card when customers spend over a certain amount in-store or online. 8. Organize a scavenger hunt. Get customers to interact in-store by setting up a scavenger hunt. You don’t need to own a huge store for this to work. Give customers a short list of things to find in your store and ask them to present pictures of the hidden items at checkout to claim their discount. A scavenger hunt is a good way to get customers to look around your store. Hide some items at the back to encourage customers to browse through the whole store. Limit the scavenger hunt to a few items and make it a short game, so customers don’t lose their enthusiasm. 9. Lead your customers to the deals. Direct your customers straight to your in-store deals by using adhesive footprint stickers on the floor. Get creative with the type of footprints you use. If you’re a woman’s boutique, use high heeled footprints or use paw prints if you own a pet shop. Search online for companies that specialize in floor graphics to order your tailor-made footprints. Market your footprints by encouraging your customers to come in-store to follow the footprints to fabulous deals. 10. Partner with other small businesses. There’s strength in numbers when competing against big companies for sales and customer loyalty. It makes sense to network with other local small businesses to increase your marketing power. Team up with a few businesses to spread the cost of advertising to reach more people. Think about cross-promoting your products with compatible local businesses. An example is if you own a boutique, you can work with a coffee shop owner to offer ‘buy one, get one free’ coffee to everyone who produces a receipt from your shop. In return, you offer the coffee shop’s customers a discount at your store. 11. Work with a charity. Partnerships are important and should form part of your small business’s marketing campaign. Given that 91% of consumers want products and services they use to support a cause, consider including an element of giving back in your marketing campaign. Be sure to find a way to include your customers in your charitable efforts. If you’re promoting your local food bank, why not encourage your customers to drop-off non-perishable goods in-store? On the other hand, you can choose to set aside a percentage of your profits for your chosen charity. Advertise your fundraising target and inform your customers about the difference their donations will make. 12. Put on an event. Hosting an event at your store is a great way to promote brand awareness and engage with your customers. A well-executed event is a great source of publicity and customer acquisition for businesses — and it doesn’t have to break the bank to be effective. Offer inexpensive treats, like cookies, and place your cookies in strategic places –like near discounted items or gift cards – to catch the eye. As a small business, it’s likely you stock things the big stores don’t carry, so make your unusual and unique pieces front and center to grab the attention of customers. 13. Create a video campaign. Videos of your product or service on YouTube can help with promoting your business and brand. Showcase new products, offer tutorials, and talk about relevant (and interesting) things going on in your industry. Create content that is useful to your audience like instructional videos to help understand your product better. HubSpot predicts that video traffic will increase to about 80 percent of all internet traffic by 2019. In this digital age, getting ahead on video marketing will give smaller companies a competitive edge. Use social media to create sweepstakes. Use tools that help with the creation of quizzes, contests, sweepstakes, and coupons on social media. Most tools have ready-made templates that you can brand with your business colors and logo. Ask social media users to provide their email address for the chance to win a prize. Sweepstakes help to increase your sales and grow your contact list. 15. Plan an email campaign. Since 61% of small to medium-sized businesses state that half their revenue comes from repeat business, it pays to nurture relationships with your existing customers. Your business is never too small to start collecting customers’ email addresses. Email marketing campaigns allow you to build a connection with your customers which, in turn, increases the likelihood of making sales. If you haven’t started an email list, software like MailChimp or MailerLite offer free plans until you reach a certain number of subscribers. 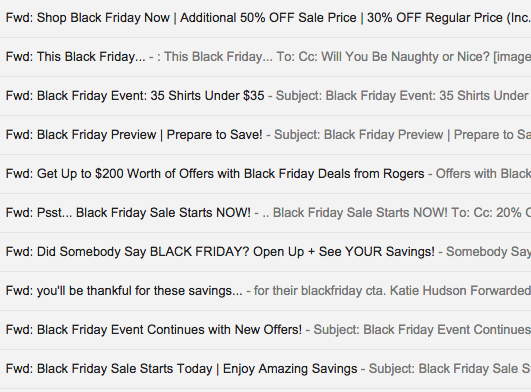 If you already have an email list, here’s some inspiration for different email campaigns. Given that, in 2017, 81% of Americans have a social media profile and 75% of people said they’ve bought something they saw on social media, it makes sense for your small business marketing campaign to involve promoting deals via social media. Whether you’re creating gift guides, sweepstakes or any other offer, you should include a plan to use social media to get the word out. The social media channels you use will depend on where your target customers hang out, although Facebook appears to be the most popular platform for small business. If your customers use Twitter more regularly, why not start a hashtag campaign around your deals and offers? 17. Invest in local advertising. 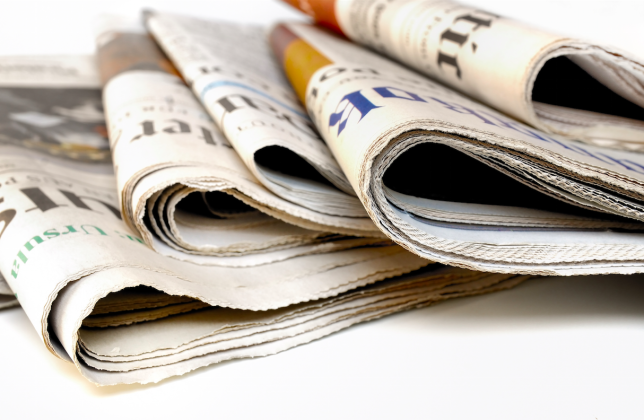 Increase your exposure by using online advertising. You can either use paid social media, like Facebook ads, or search engine ads like pay-per-click. Online ads allow you to target your trading area, so that your business gets exposed to the right people. Creating effective online advertising can involve a steep learning curve, but there are guides and support from your chosen platform to help you along the way. 18. Reward your loyal customers. Regular customers are the lifeblood of your business, so include a special treat for them in your marketing campaign. Show your appreciation to your loyal customers by throwing a gratitude party before releasing big sales to the public, so they get early access to your deals. You can also send sneak peek newsletters if you have an email list. Include exclusive offers or provide the opportunity to reserve items ahead of time as a reward for your loyal customers continuing support. 19. Boost your in-store experience. Separate your small business from the bigger competitors by creating an environment that makes your customers feel extra special. Offer a complimentary gift-wrapping service to take one thing off your customers’ to-do list. Be sure to advertise your extended hours and other experiences via social media, email, and in-store. 20. Remember Small Business Saturday. American Express founded Small Business Saturday in 2010, giving small businesses across the country a special boost and a way to get shoppers’ attention between Black Friday and Cyber Monday. 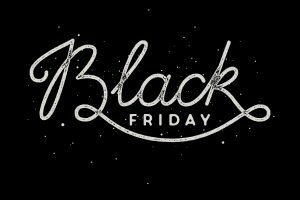 Given that 112 million consumers shopped on the day after Black Friday, Small Business Saturday is becoming increasingly important. 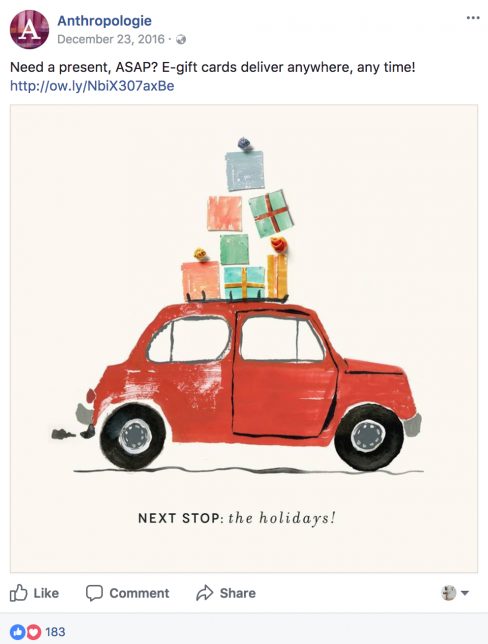 Remember Small Business Saturday when planning your Black Friday marketing campaign. Make use of your local connections, chambers, and organizations to share your Small Business Saturday offers. In such a competitive market, advertising and marketing isn’t something a small business can ignore. Learning how to market a small business is a necessity, and in this digital age the options are more diverse than ever. Word-of-mouth will only help you survive for so long! The post 20 marketing campaign ideas for your small business appeared first on Deputy. 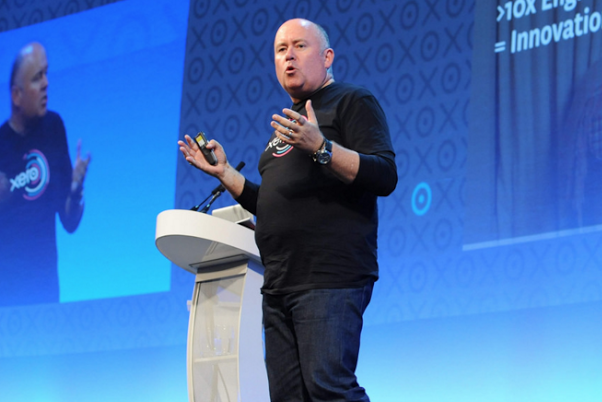 As one of the world’s leading Chief Marketing Officers, Xero’s Andy Lark is no stranger to innovation and disruption. From Sun Microsystems to Dell, CommBank and now Xero, Andy has seen everything from the death of bookstores (Amazon), the end of the PC era (smartphones) to the disruption of the taxi industry (Uber). Australia’s first ever CMO50 list of the most innovative marketers for 2015 was announced this week and the team at Xero is thrilled that Andy was voted in Australia’s top three. Heads of marketing the world over are familiar with the challenge of delivering relevant, compelling marketing as people and businesses adopt new technology and communication channels. Being successful in 2015 is about having an enthusiasm to adapt to a rapidly changing world. Andy has always advocated that business leaders have to be as adept at the process of change as they are in adopting new technologies, data and customer insight. “the legacy accounting software while successful in its own right, was unsuccessful in terms of overall market penetration and adoption. The majority of small businesses chose instead to ‘hack’ accounting, using spreadsheets, paper, or whatever alternative they could cook-up. Cloud, mobile and modern software has changed that. Suddenly the software they’ve always wanted is available, affordable and easily integrated with the other applications they need and use. We are at beginning of the end of small business accounting software and the dawn of small businesses platforms built beautifully in the Cloud”. So if accounting software has run its course, what happens next? According to Andy, it is the emergence of small business platforms, like Xero, which business owners will look to accountants and bookkeepers to manage. 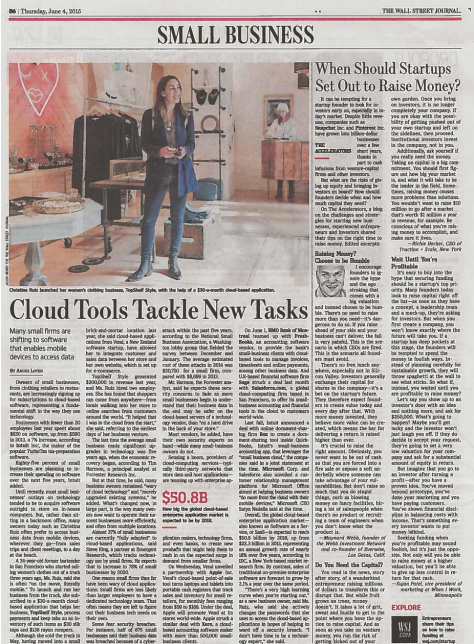 And it’s not just managing the ledger in the cloud, it’s also knowing which apps (Square, Shopify, Receipt Bank, etc) to plug into these platforms. With traditional advertising and print no longer working, Andy says, “the trick is creating killer content”. From small business guides to guest blog posts with tips on how to get things done, you can demonstrate your prowess and smarts to potential and existing clients. Not forgetting that video is what really creates cut-through in today’s noisy world. With ‘off the charts’ velocity for mobile device use, make sure you’re there to solve potential moments of customer dissatisfaction, doubt and desire (MOD). Uber’s success has been due to the fact that their cars actually show up – not an experience most people have when they call a cab. And you can see where they are. With rich business performance data now readily available through cloud platforms, Andy exhorts the accounting profession to think of themselves as data and business process management companies. Accountants can now tap into the wealth of data their clients produce in order to get a greater grasp on their financial health. They can also provide valuable insights that were previously impossible without this information. Using software like Xero to quickly analyse that data allows accountants to dig deeper into what’s going right and what’s going on in a business, and provide a higher value service than data entry. Financial issues cause more business failures than market conditions, recent Xero research shows. Survivors are much more likely to have invested in financial technology and work with an accountant or bookkeeper – in fact, that relationship even leads to increase revenues. We’re moving from the attention economy to the intention economy. Can you help your clients understand and leverage this shift to their benefit? Data shows that purpose-driven companies outperform the general market 15:1. It’s hard to argue with those ratios. If the entirety of your business isn’t aligning with your purpose then you know what to do. Remember when CVS used to sell cigarettes? When it decided to focus on its purpose, helping people on their path to better health, it simply didn’t make sense to sell a product that kills people. Despite the revenue hit, it was the right thing to do. Andy’s experience has proven that change is constant. Just as Xero is changing accounting software, accountants and bookkeepers are likely to face change and disruption themselves. They can, however, embrace that innovation and disruption and become the force that ensures they become an Uber or Amazon, and not the bookshop or cab sitting dormant. The post 4 Ways The Accounting Industry Can Embrace Innovation and Disruption appeared first on Xero Blog.